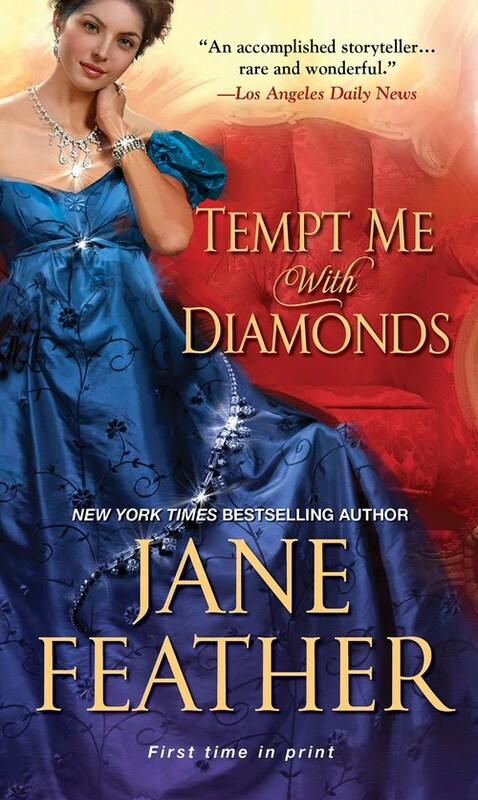 Three friends who met at an elite English boarding school take on the town�and the ton�one by one, in this sparkling new series about love, loss, and lustrous gemstones, from New York Times bestselling author Jane Feather . . .
Diana Sommerville seems to have it all�beauty, brains, and vast wealth, thanks to her family�s ownership of a diamond mine abroad. But when her beloved brother dies in battle and leaves a lion�s share of his estate to his best friend, Diana finds herself in a situation that seems scripted for the stage: Sharing her family home with the man she used to love�and now loathes. Worse, her unfaithful former fianc� has already moved in . . .
Rupert Lacey didn�t expect Diana to take the news without a fight. Still, he didn�t expect her to bring the battle directly to their newly shared doorstep�complete with a full set of trunks, and a full set of orders to the staff. Yet there she is, bold, regal . . . magnificent as ever. Now they would face a formidable challenge: to ignore each other�and the unanswered questions that stood between them. The only sure thing is their still blazing desire. But with a woman like Diana, it will take nothing less than a momentous misunderstanding, a missing prized mare, and a shocking revelation to restore a love that hasn�t lost its shine . . .